So I got into removing the last of Spark's fittings in anticipation of sanding tomorrow. 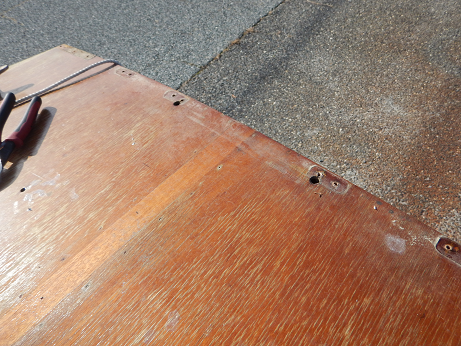 In removing the horse I discovered a pair of half inch diameter holes drilled through the deck 5 inches to either side of the centerline. 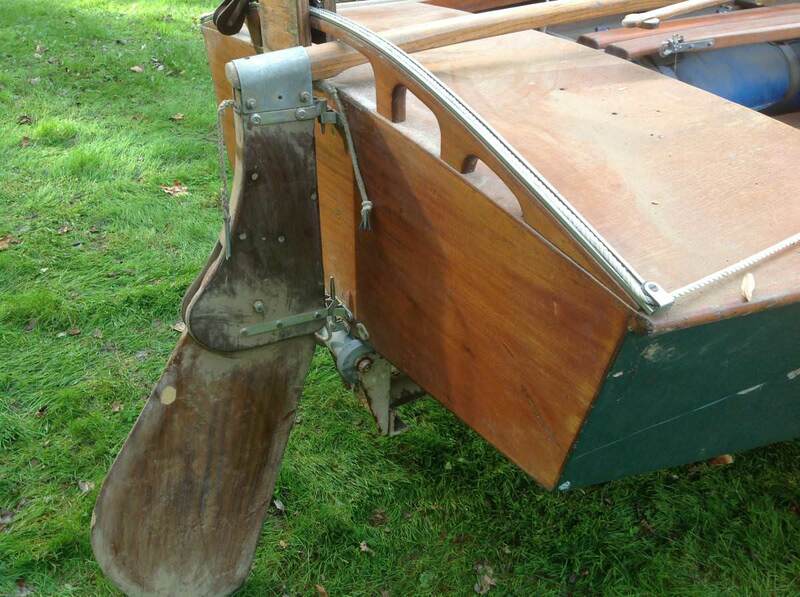 Being built in 1964, it is evident that my boat was built just before the full width horse was allowed in the rule book and was then retrofitted with it. Spark was originally part of the race fleet in Stone Harbor NJ, so the wooden horse would have been necessary to increase her chances of winning against the newer boats.